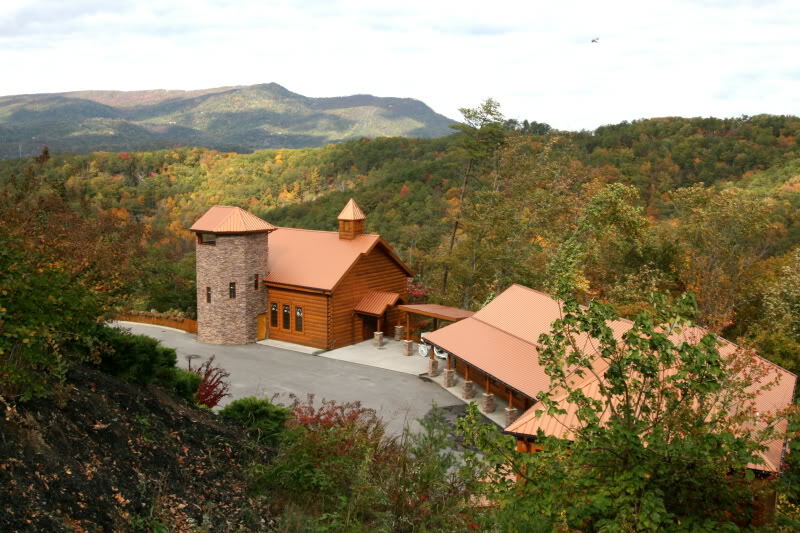 We are Pigeon Forge’s finest Wedding Chapel in The Great Smoky Mountains. Located in the newly developed, luxury Black Bear Ridge Resort, nestled in the mountains only 5 minutes from the Parkway in exciting Pigeon Forge. 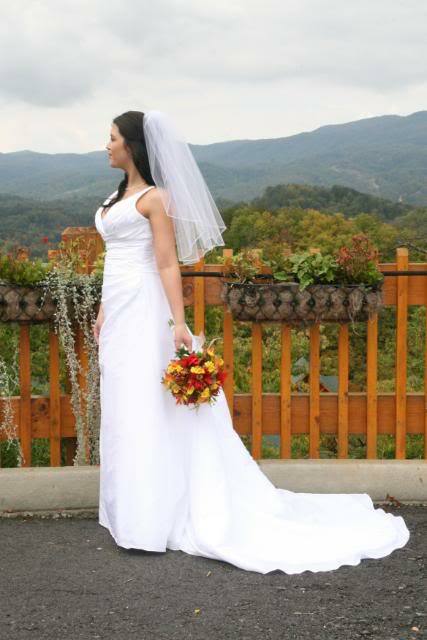 We have it all for a stress free wedding: Salon, Massage, Make Up, Cabins, Full Reception Hall, Photography, Video, Wedding cakes, Limo Services and BEST OF ALL, beautiful mountain scenery. 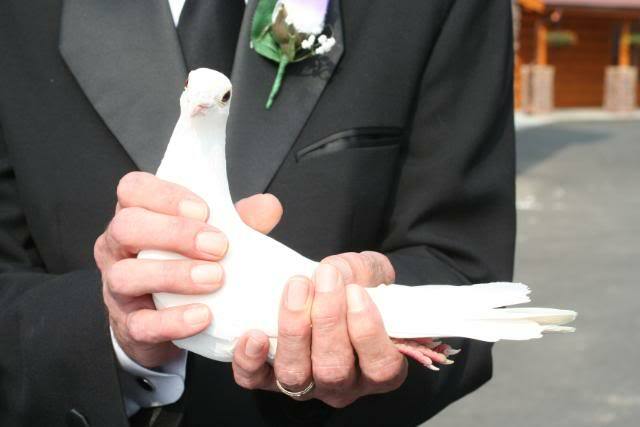 Make your wedding STRESS FREE!!! 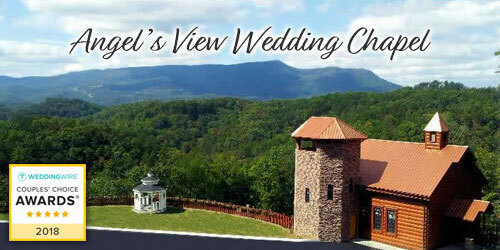 Thank you for considering Angel’s View Wedding Chapel for your upcoming ceremony. 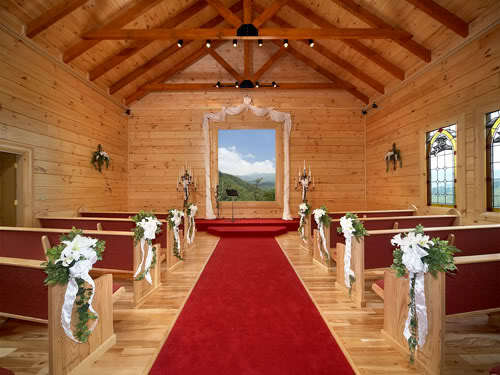 Our beautiful Pigeon Forge chapel is nestled in the mountains with gorgeous views of The Smokies and decorated with candelabras, hand crafted stained glass windows, padded solid wood pews and a glass front altar with breath taking views of the mountains as you exchange your wedding vows. This gives you the feel of an outdoor wedding while having the comfort and convenience of indoors. 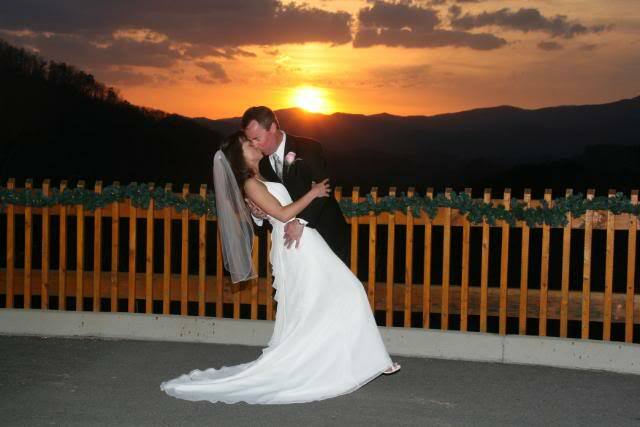 You may choose to have your ceremony in our chapel or choose an intimate ceremony in our one of a kind stone turret that over looks the mountains and or our Gazebo with white chair set up with our picturesque mountains in the background. 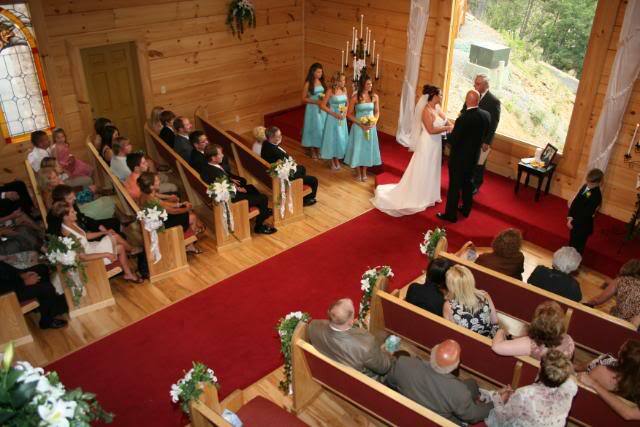 We are a full service wedding chapel and offer complete customized wedding services with many packages to choose from. 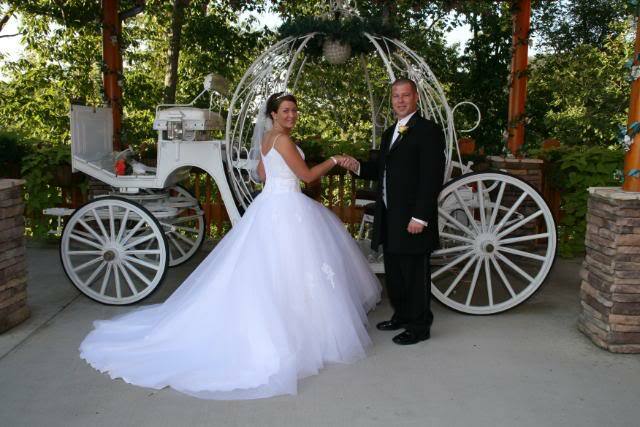 Including scenic Professional Photography, hand made Cinderella carriage, Video Services, Bridal Flowers, Elegant Receptions, Makeovers, Massage for Bride and Groom, Tuxedos, Limousines and Luxurious Honeymoon Cabins. 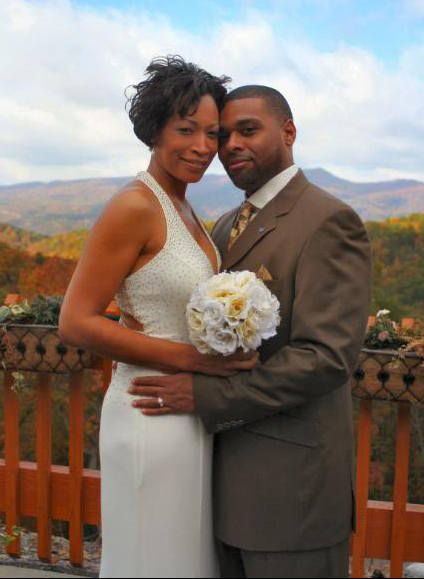 We offer: lodging, onsite salon and day spa, reception hall to make your wedding day STRESS FREE! 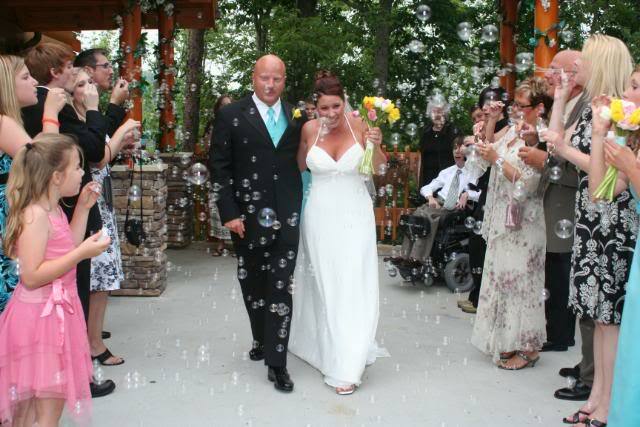 For a stress free wedding call one of our wedding coordinators today at 1-800-758-6604. 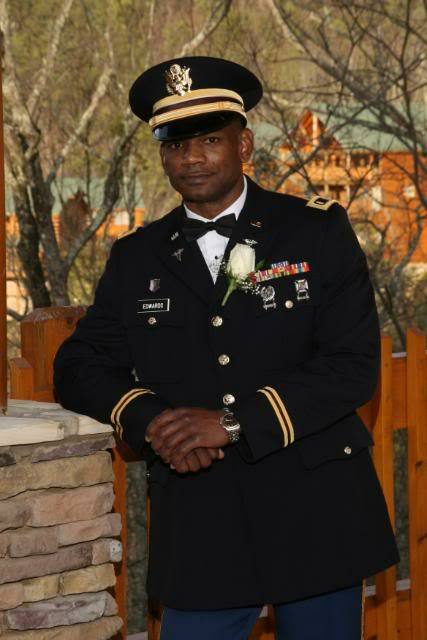 We look forward to helping you plan your Special Day!